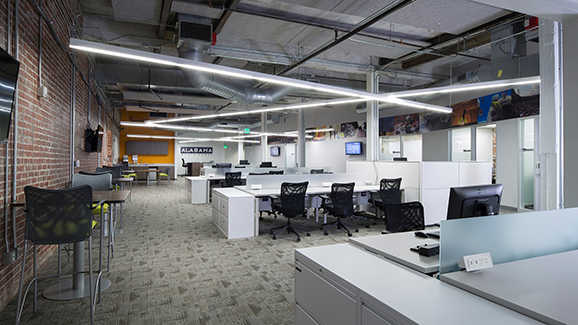 From beer to media, Downtown’s Young & Vann Building always serves its occupants in historic style. 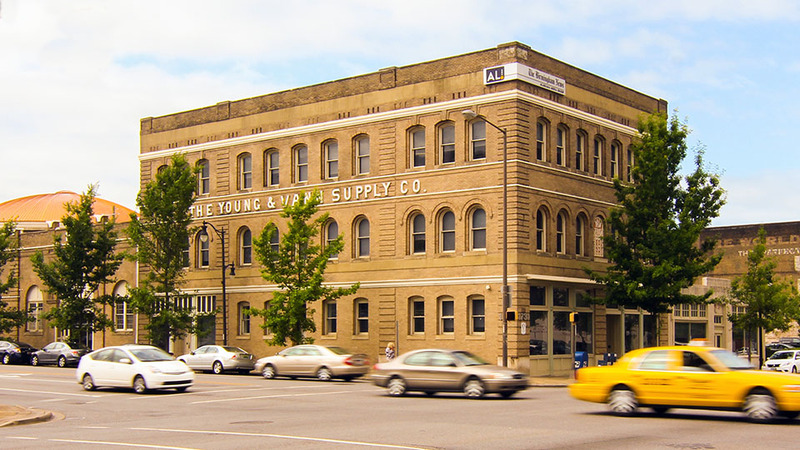 Situated on the corner of 1stAvenue North and 18thStreet, the 28,000+ square foot Young & Vann Building was purchased by Sloss Real Estate in 2002 for the express purpose of redevelopment. Acclaimed Birmingham architecture firm Goodwin Mills and Caywood, as well as Stone Construction, were brought in to realize the full potential of this storied structure. 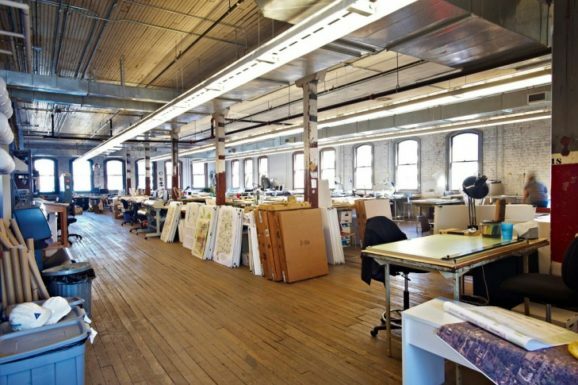 The $3,000,000 renovation transformed the century-old warehouse into what is now known as the Center for Urban Planning and Design. Built as a distribution center in 1893 by the Anheuser-Busch Brewing Company, the rear half of the building originally housed the brand’s emblematic horses to pull the beer wagons. Now, the building includes a 59-space parking lot and has included such diverse tenants as the Regional Planning Commission of Greater Birmingham, the Housing Initiative for Central Alabama, Region 2020, the Cultural Alliance of Greater Birmingham, and Auburn’s Urban Studio. 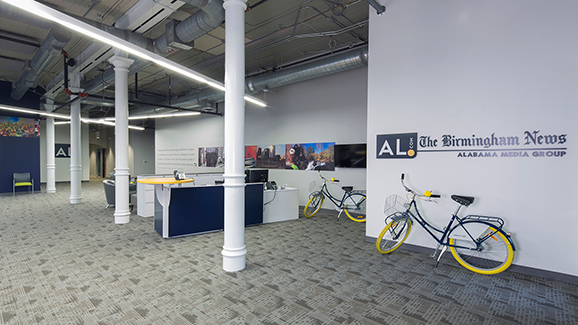 In 2013 the building was renovated again for the offices of the Alabama Media Group, content providers of the Birmingham News and al.com. One of the many unique features in this historic and particularly Birmingham building is a large steel skylight, which was designed not for aesthetics, but to bring much-needed light into the warehouse. Near Birmingham’s booming entertainment district and around the corner from the award-winning Railroad Park and Regions Field, vacant space is very limited in this attractive downtown building.